John McElwain, retired vice president of communications and marketing for the Santa Clarita Community College District (COC), died Friday, September 7, 2018. He was born December 3, 1947, and lived in Valencia. College of the Canyons Chancellor Dianne G. Van Hook issued the following statement to the college community. It is with great sadness that I share with you the news that John McElwain, who retired in 2011 as the vice president of district communication, marketing and external relations, died on September 1. He had been battling cancer. 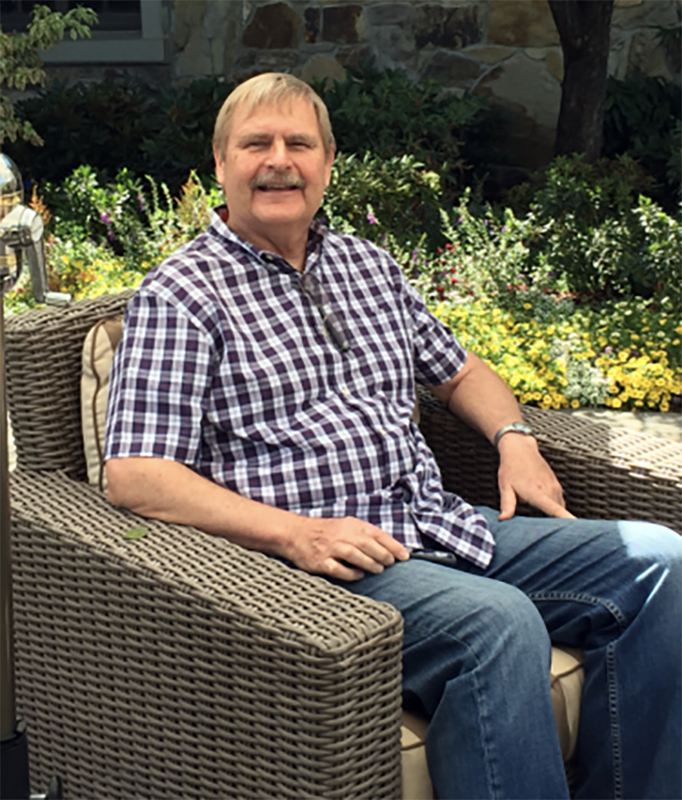 John was an integral part of the leadership team at College of the Canyons for many years. Always a professional and a true joy to be around, John helped us expand our capacity in engaging the community, in attracting donors and supporters to our many initiatives, and in helping to build an exceptionally strong and effective leadership team. He had a unique ability to bring people together, and his sense of purpose and vision enabled us to do whatever we set out to do. He was astute, patient, tactful, and had a keen sense of strategy. A model of honesty and forthrightness, John was there to support the college and its leadership, and I always knew I could count on his sound judgment. Not only did John leave his fingerprints and footprints all over the college, but there is not a day when I am not engaged in a partnership, representing our college in a new endeavor, or moving forward on something that John influenced or an opportunity that he shaped, that I don't think of the amazing gift he gave to College of the Canyons through his unique skills and expertise. He generously volunteered his personal time and expertise to develop effective messaging that led to the successful passage of both Measure C and Measure M, which together generated $240 million of bond revenue to finance the construction of new facilities at College of the Canyons. As well, he played a pivotal role in crafting the materials used in the Create Our University Center Campaign, which enabled College of the Canyons to expand access to bachelor's, master's, and doctoral degrees in the Santa Clarita Valley. He also created the materials used in the successful iCuE fundraising campaign. John also developed the branding and marketing used to launch the Performing Arts Center and establish it as one of the premier entertainment and performance venues in Southern California. In these and other efforts, John worked side by side with Sue Bozman, who was hired as the college's first full-time public information officer, and led the growing office for more than 20 years. Following his retirement, John returned to College of the Canyons on a part-time basis. In between lengthy cruises he and his wife Bonni took with fellow retiree Floyd Moos and his wife Karen, John worked to update our emergency response procedures and establish our Incident Command System. John came to College of the Canyons after a 25-year career in the Coast Guard. He sometimes said he had worked for an organization that saves lives, and he liked it here because he worked for another institution that also saves lives. When John was in the Coast Guard, he commanded its rescue and law enforcement station in New London, Conn., and then he served as director of media relations for the Coast Guard. He was a primary spokesperson during the Exxon Valdez oil spill; the 1990 Persian Gulf War; Cuban, Chinese and other high-profile immigration issues; dramatic rescue cases and the international war on drugs. For eight years, John was the Director of the Coast Guard's Motion Picture and Television Office in Los Angeles — providing technical advice to the worldwide entertainment industry. He received on-screen credits for Paramount's "Hunt for Red October" and "Clear and Present Danger," MGM's James Bond movie "License to Kill," as well as "Overboard," and was a maritime advisor to numerous TV projects and documentaries. He also edited a children's book about the U.S. Coast Guard and taught media relations techniques and strategies for more than 25 years. Above all else, John set an example of high standards in the care he consistently demonstrated for others. His warmth and genuine concern for coworkers was always evident. He was never too busy to talk and offer a kind word, sage advice, personal encouragement, and more often than not, a witty observation that left you smiling. To many of us, John was more than a colleague. He was a dear friend who will be greatly missed and fondly remembered, and we join his family in grieving his loss. John leaves behind his wife Bonni, who worked in a number of offices (including mine) as an adult hourly over the years, and also full-time in the Performing Arts Center. He was a proud father to daughters Kate and Annie, and grandfather to Neala. John wished to return to the sea, so his ashes will be spread in the Atlantic. No services are planned at this time.